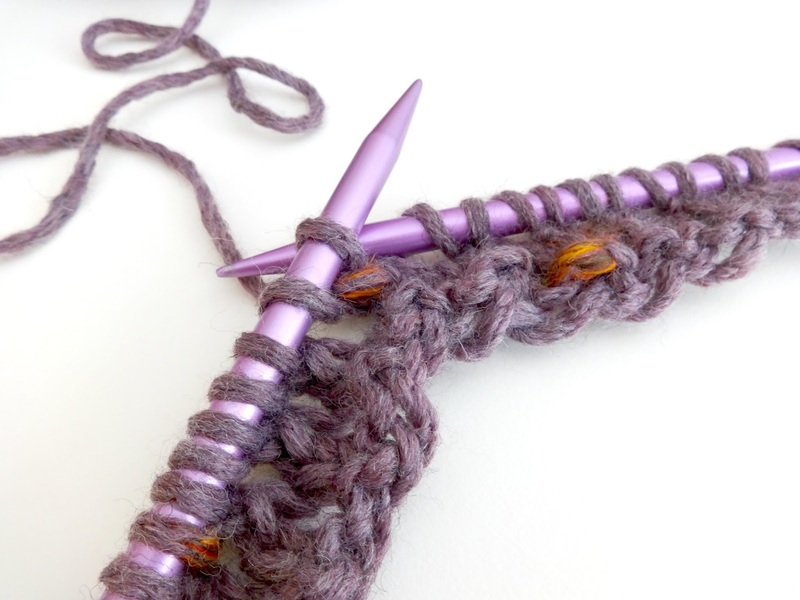 Isn't this yarn gorgeous? 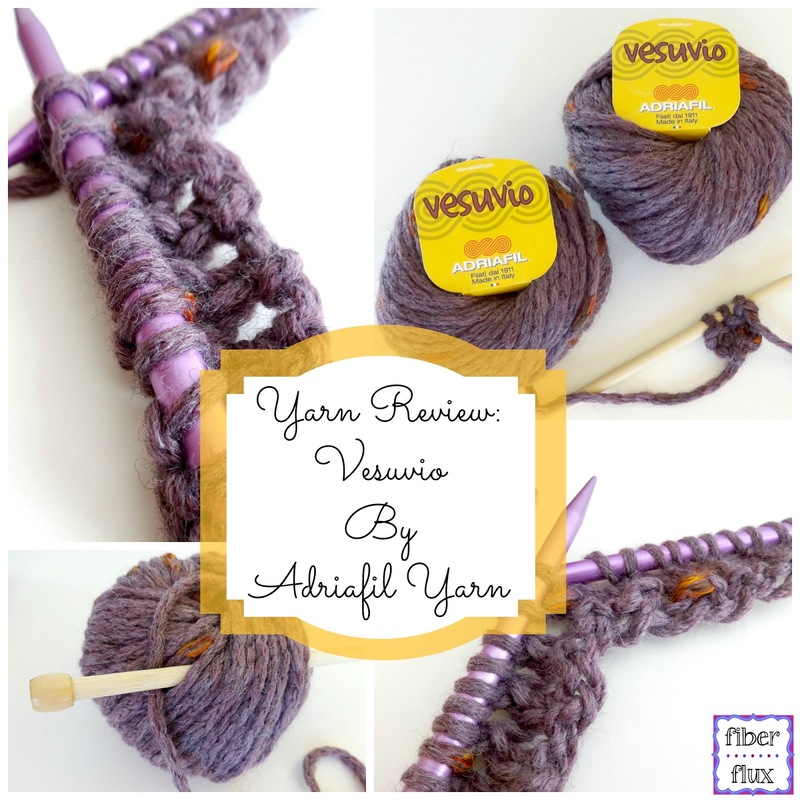 The Adriafil Yarn Company recently sent me some of their beautiful Vesuvio yarn to try out. 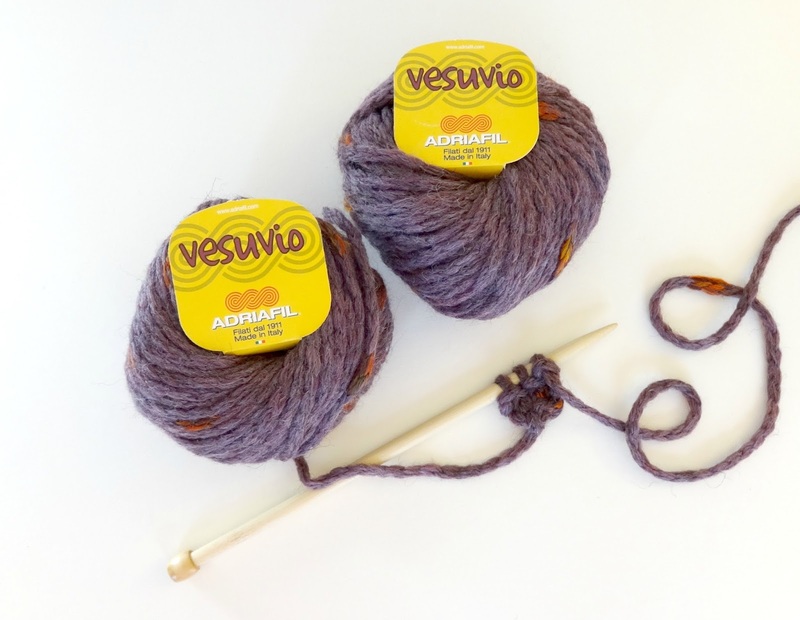 Vesuvio by Adriafil is 50% wool, 50% acrylic. Each 50 gram ball comes in 8 colors and I was given the "Plum" (22) colorway to try out. In addition to the color I was given, Vesuvio comes in a total of 8 different equally pretty colors. 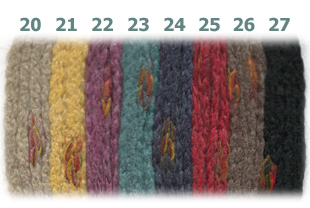 Below are the available colors, which one is your favorite? I love the color I was given softy colored, with little flecks of orange, giving it a thick and thin texture. 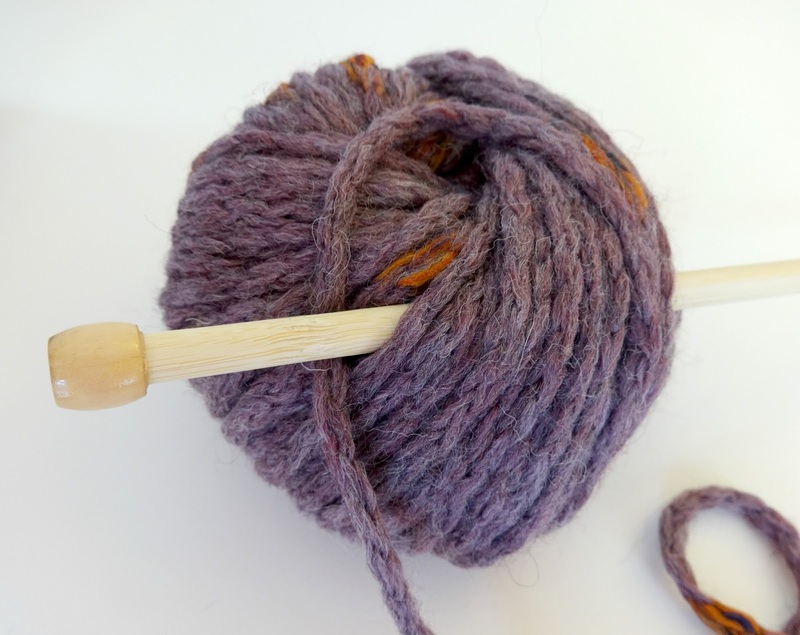 The yarn has lots fibery detail, giving it an overall heathered appearance as well. It is soft and pleasant to work with. As soon as I saw it, I envisioned exactly what I was going to do with it...above is a sneak peek of a new free pattern coming soon! 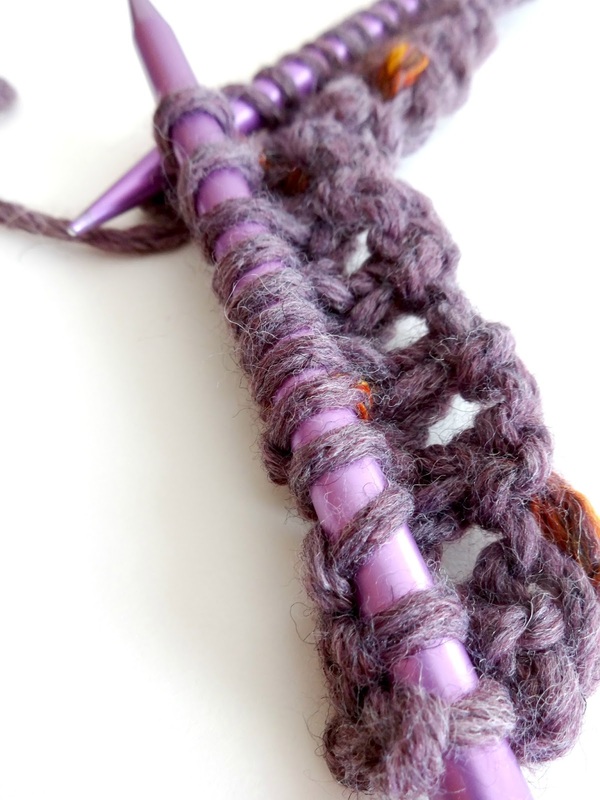 As you can see, it has a soft, cozy appearance, but still retains much of it's stitch definition. I love those unexpected little pops of orange that show up when working a stitch too.